As if Facebook didn’t already seem to rule the digital world, in 2016 they added Facebook Live. It’s a live streaming feature that is connecting friends, companies, brands, influencers, and entrepreneurs and giving them access to each other like never before, in the now. It’s all the rage right now and it doesn’t look like its popularity is going to slow. Facebook Lives are fun, super easy, and can be highly effective for marketing your business. 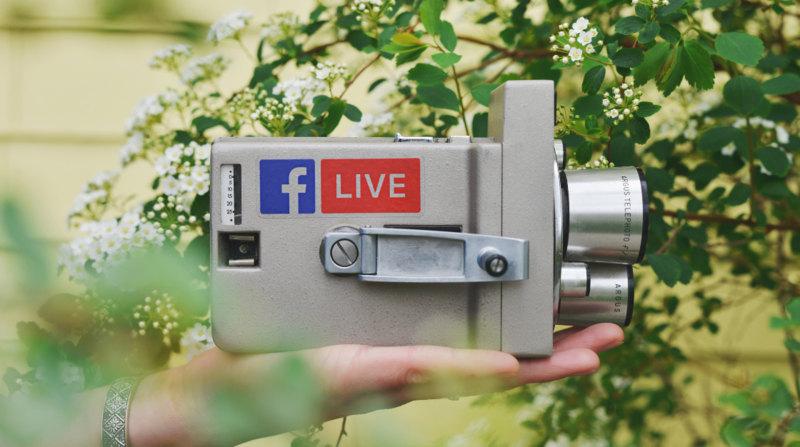 We're going to show you how Facebook Live can be used to increase the awareness of your brand and how it can be used to develop connections and relationships with existing and potential clients/customers. Before we get into the good stuff, let’s cover the basics. I could copy and paste the entire Facebook screen and explain the process but thousands of other blogs beat me to it. I’d rather focus on the meaty stuff than give you fluff and filler. I’ll sum it up nice and quick for you, if you need a little more detail just go right to the source on Facebook Live. In a nutshell, it’s really that simple. As we move ahead we’ll elaborate on a few of the steps for you. Why Use Facebook Live For Your Business? 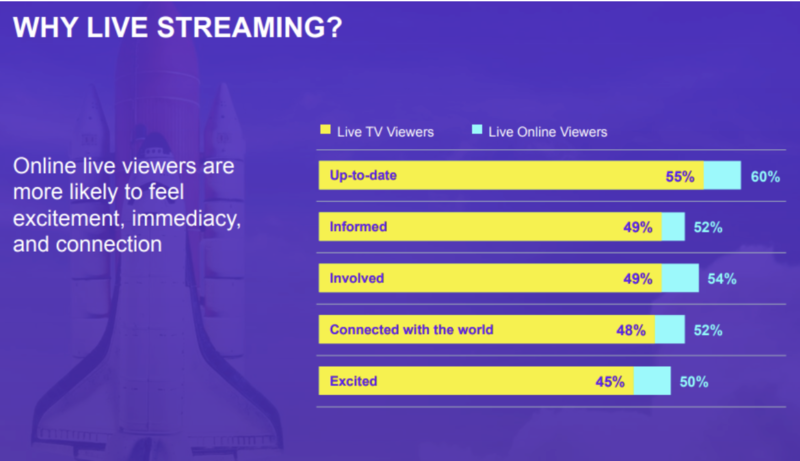 Live streaming isn’t just trendy and cool, it’s a very effective marketing tool. People get very attached to live events, they feel as though they are a part of what is happening because well, they are. Being live with your audience gives you an opportunity to share knowledge and give helpful information without being a pushy salesperson. The point is to develop relationships through personal interaction. You can showcase your involvement with a special project or event, “behind the scenes” videos are very popular. Be the one to break the story about important industry news. Facebook Live videos give you an opportunity to put a personality, a face, and a friendship on your brand or business. Consumers want to know who the people are that run the companies they give their hard earned money to - they want to know how they operate. Some of the videos you might see are wild and whimsical and everyone is all over the place. That’s great for friends sharing but your building a business. We’re not saying don’t have fun but there are some things that require your serious attention. Start a couple of days before, then the day before, and again an hour before. Make announcements with catchy headlines and a sentence or two to get people interested. Don’t overdo it, you want to attract viewers not have them tune you out. If you're going to do a Facebook Live from you can actually schedule your live so people can be notified when it starts! Recording live is awesome. It doesn’t mean you should go into it recklessly. Scope out and practice where you will be recording. You have control of the outcome and quality! If it’s outdoors, is it windy? Are you staying static on a desktop or moving around with a smartphone? The spontaneity of being live is part of what makes it so attractive to your audience but that doesn’t mean you shouldn’t be prepared. Write out a plan ahead of time. Chances are you won’t use it but having written it will cement the ideas and topics in your head. What will you be talking about in general? And what order? What are some questions that you will ask your guests? Can you anticipate questions that your viewers might ask you? What do you want viewers to do after the live? The greatest benefit of Facebook Live is that you can engage with your audience in real time making them an important part of the experience. If possible have someone helping you “workin’ the lines”. Having someone who can interact with comments is a bonus. You can’t field all the comments (hopefully there’s that many) while your engaged, filming. Answer some questions in real time and be sure to include the viewers name when responding. This helps build those oh-so important connections. Live TV has a 6-second delay to catch any major mistakes before they make it on the air. With Facebook Live you aren’t so lucky. If you’re reading this I’m guessing your human. You’re going to make mistakes, it’s ok. If you post a pre-recorded video that has been planned, edited and perfectly produced except for one little mistake, the viewer will find it and be like “Oooooh they messed up!” If you stutter or stammer while live, the viewer will be like “Aaaaw, it’s ok”. Remember, you’re human! Own your mistakes. Laugh them off or even point them out and correct yourself. Not all of your viewers are going to be joined with you from the start. Hopefully, more and more people join as the video progresses. You want to make sure you keep everyone in the loop. A good introduction, in the beginning, is huge. Remember this video is going to stick around for later use so your intro needs to be solid for the next gen of viewers. As you’re getting ready to finish up, give your audience a solid summary of what you discussed along with a genuine thank you for joining you. Ask for Likes and shares. Allow at least 5 minutes to get people to join. That doesn't mean don't get into your planned content within those first five, but don't rush through it! Get more value to your viewers by creating a live that is at least 10 minutes long. Congratulations! Now you can Facebook Live with confidence. The fun part of producing the video is over and now there’s a little work left to do. This video is now part of your marketing arsenal. Get it out there in front of people and continue to interact with your new viewers. You can boost it just like a normal post if you want a push into the public. As the views grow the more analytics there’ll be for you to research, just head to the insights tab. Have fun, experiment, and be original. Facebook Live is an excellent way for you to give your brand a boost with original and engaging content. Check out the #replay of a Facebook Live below! The more you do the better they’ll get so keep at it. If you ask your viewers for topic ideas and create a regular schedule that people can count on you’ll be amazed how your audience will grow.